Wanna to enjoy 1080p HD video recorded on your AVCHD camcorders on iPhone 8/iPhone 8 Plus? Hope to put and play Flash video (*.flv, *.f4v) from YouTube, Google, etc on iPhone 8/iPhone 8 Plus? Plan to kill your time on the way home by listening to music or watching movies on iPhone 8/iPhone 8 Plus in your leisure time? Well. The guide here is mainly to show you an easy method of converting TiVo, WMV, AVI, FLV, F4V, VOB, MOD, MTS, M2TS, MKV and other video formats for iPhone 8/iPhone 8 Plus with high quality. The all-in-one iPhone 8/iPhone 8 Plus Converter tool – UFUWare iPhone 8/iPhone 8 Plus Video Converter Ultimate is powerful to convert video to iPhone 8/iPhone 8 Plus at faster conversion speed (compared with other similar video converters) based on its multi-threading and CUDA technology. How to convert video to iPhone 8/iPhone 8 Plus with the best iPhone 8/iPhone 8 Plus video converter? Part One: Import video file(s) into the iPhone 8/iPhone 8 Plus Converter program. Generally, there are two ways you could load your videos into the software. One is to click the icon to load video files. The other is to directly drag/drop video files into it. From the drop-down list “Format”, you are able to select your desired output video/audio format with ease. Even you can choose the output format according to your device’s name, like iPad, iPod Touch, iPhone, Apple TV, etc. In face, the Video to iPhone 8/iPhone 8 Plus Converter provide various iPhone 8/iPhone 8 Plus format for you, you can select the format. 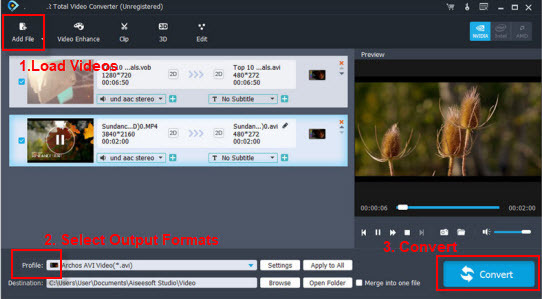 Settings – Click “Settings” to select output video quality (like High Quality, Standard, Small Size) and customize output settings by adjusting audio/video parameters, like bitrate, frame rate, codec, sample rate, channels and more according to your needs. After all the settings, you can click to start video to iPhone 8/iPhone 8 Plus conversion. For its perfect video and audio sync technology, it will never meet video/audio sync problems. And its fast conversion speed allows you to get the videos within a short time. Then, you can transfer and play videos on iPhone 8/iPhone 8 Plus anywhere anytime.